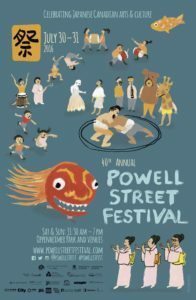 The Powell Street Festival is celebrating its fortieth year this year in Vancouver, and I am so happy to be taking part in the event. Come stop by my table for a visit and a chat. I will be selling my paintings, prints and cards. 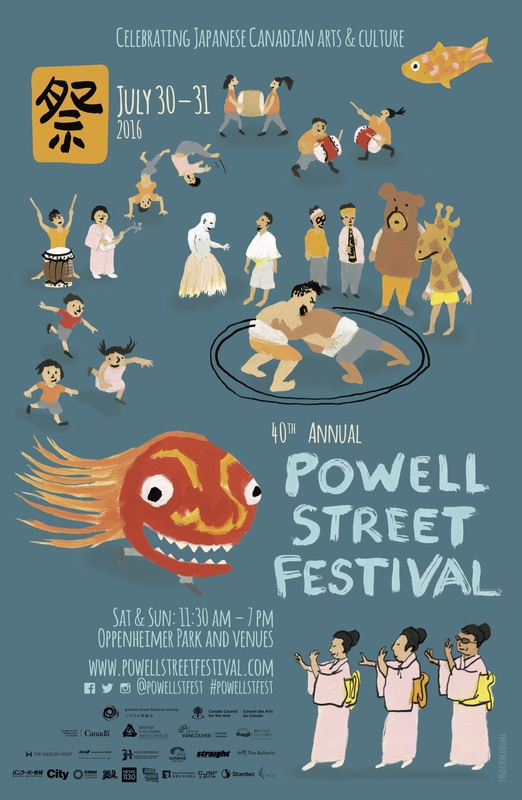 I have always loved the Powell Street Festival and it`s so awesome to be able to participate this time. It`s Canada’s biggest festival of Japanese arts and culture, and it is great family fun for the last weekend of July. It offers entertainment from taiko drumming to sumo wrestling. There are crafts and activities for the kids and all sorts of great Japanese arts and crafts to purchase. One of my favourite things to do is to pig out on all the delicious Japanese fair food. This year they are also having an interactive section in the park and a street party on Alexander Street. Hope to see you there!